Doing hard things. It’s a part of life and one of the things we must prepare our children to tackle. From the time they take their first steps, many of our children are learning vital lessons about perseverance, tenacity and how to tackle the hard stuff. We want our children to be the ones who take on struggles, not run away. We want them to be the ones who don’t panic in an emergency, but instead step forward with bravery. 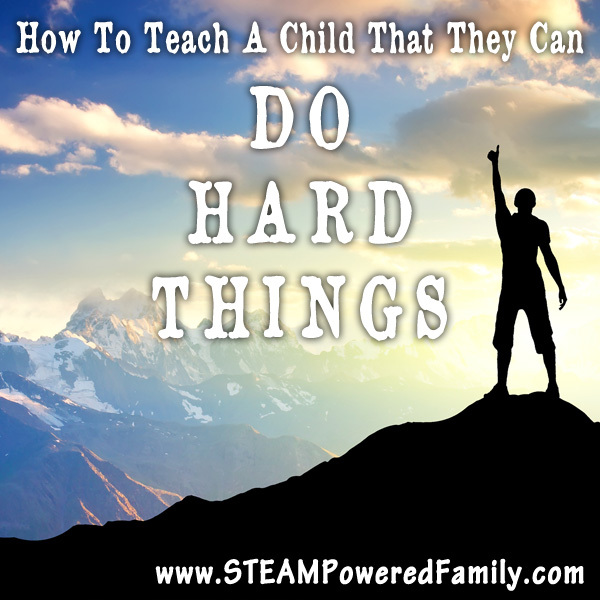 But how can we raise a child that truly believes they can do hard things? What has fascinated me on my parenting journey is that the more hard things a child has had to do, the less they tend to believe that they can do them. Like the saying, “their too young to remember” (which we don’t use anymore, right??? ), the saying, “What doesn’t kill us only makes us stronger” is equally as wrong. Trauma and adversity more often than not, weakens us. It attacks our very foundation, making our entire structure weaker. Those experiences leave scars that mask their bravery and tell lies about their abilities to face obstacles. Sometimes a parent needs to be intentional in their lessons to teach a child that they can do hard things. Over the years I’ve become very intentional in teaching my children that they can do hard things. The foundation that many children come with, the one that sends them into the world without a care or worry, has been cracked and broken in my son, so my job has become foundation builder before I start putting up the structure. Only you know if your child’s foundation is intact, but it’s important to know before you start to push and challenge your child. Without a strong foundation, if you push them, you could crush their self belief even further. The most important thing is to view this as a long range goal. Becoming strong and brave takes time, and by time I mean years of small steps. How many people do you know that truly believe in themselves? That believe they can tackle anything? This is a rare set of skills and one that takes a great deal of time and effort to develop. Here is an example from our own lives where we are very slowly building up my son’s ability to believe he can do hard things. My son is terrified of crowds, loud noises, places full of kids, not to mention those crazy amusement park rides, it’s all tied into his trauma history. This is his hard thing. Well one of them, complex trauma is… complex. So we started small. It’s important to note we started intentionally building these skills when he was only 3 years old. When his fight or flight was so intense we struggled daily. We went to places that were busy but outdoors and the crowds spread out. We kept our time there brief and left before he entered full fight or flight. As he became more brave in those situations we added additional challenges. More people, more noise, then chickens. Oh those chickens, who knew they were so terrifying? It was very important to give him time to prepare for these events, along with time afterwards to decompress and process. He needed to spend intentional energy learning from these events. He needed time to believe that he experiencing success, even when he didn’t always feel that way inside. One of the tools we used was to read books about facing hard things. Then one day we attempted an indoor amusement park. We went mid-week, during off season so there was almost no one there. I think there were maybe a dozen people there. But there were a lot of noises, lights and those rides that terrified him so much. The first time we went he would only do one of the rides, the carousal and he spent the whole time with his ears covered, knees pulled up high as he rode his fancy pony. It took three more visits, spread out over 18 months until he was brave enough to tackle more of the rides. Our next step was to up the challenge, and on a vacation we took him to Legoland in California. He was 6.5 years old. We went with no expectations, we knew this was a therapy stop, not a vacation. It was completely about him and helping him find some healing. He spent the first 3 hours in an intense fight or flight state. Panic ripped through his body causing so much pain he was up on his toes, hunched over, his body crushing under the weight of his fears and PTSD. I thought we may be writing off the entire experience, but this is where I realized those repairs to his foundation were there, and they were strong. 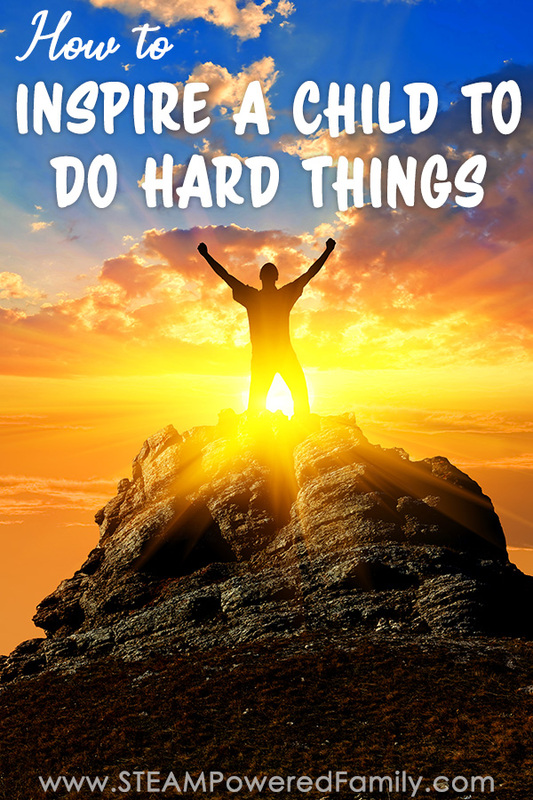 Our son knew now that he could do these hard things. He knew it was possible because of the years we had spent gently and slowly showing him how to do it, and that he could do it. That day at Legoland he fought back against those lying and deceitful reactions that flooded his mind and body. After three hours he was able to walk around and watch the activities. By the end of the day he was on the rides and loving every moment of the experience. His body experiencing the euphoria and power of success because this was his hard thing and he had conquered it. The key to teaching him that he could do hard things was to ensure those hard things didn’t cause more damage, that we went out of our way to provide positive experiences that countered the lies created by PTSD and trauma. If we had “thrown him in the deep end” or told him to “toughen up and just go do it”, we would have caused more damage and deepened his struggles with self belief. He would have failed and it would have only made him believe more deeply that he couldn’t do hard things. Healing would have become even harder. My life as a parent as not been filled with the idyllic experiences so many other families share at festivals and amusement parks. No, our days there were therapy days. They were about building a foundation for our son so that one day he will grow into a man that faces life with bravery. That sees hard things as doable. That knows he has a safety net, us. Always and forever. We are here for him whenever he needs help doing the hard things. Because everyone needs a little help with the hard things. Excellent post! I just experienced something similar to this with my niece last week. My extended family went on a vacation together, which included my dad, one of my sisters, myself, and 7 grandkids. One of my sisters wasn’t able to come – but her daughter and son came with us anyway. Her daughter was very fearful of just about everything. Nervous to try stuff. Wanted to hang back rather than give things a try. I worked with her throughout that week and taught her than when you feel that funny feeling in your stomach, you can either let it stop you or you can let it empower you. It culminated with us all riding the chair lift up a mountain. She was extremely fearful the first time. I held her hand and every time she looked nervous, I got her to laugh. I taught her to say things in a positive way rather than thinking of how badly things could go. By the end of the week, she was riding the chair lift by herself. She was climbing up the mountain with us. She was playing disc golf, riding in a kayak, and a myriad of other things. And she was doing it with courage rather than holding back in fear. She even started sleeping with the lights off rather than having a night light. It was a pretty amazing transformation!